The “Good Tidings and Great Joy” book tour took Gov. Palin to Roanoke, VA this morning and to Monroe, LA this evening for a little southern hospitality with the Duck Dynasty family. It seems that Gov. 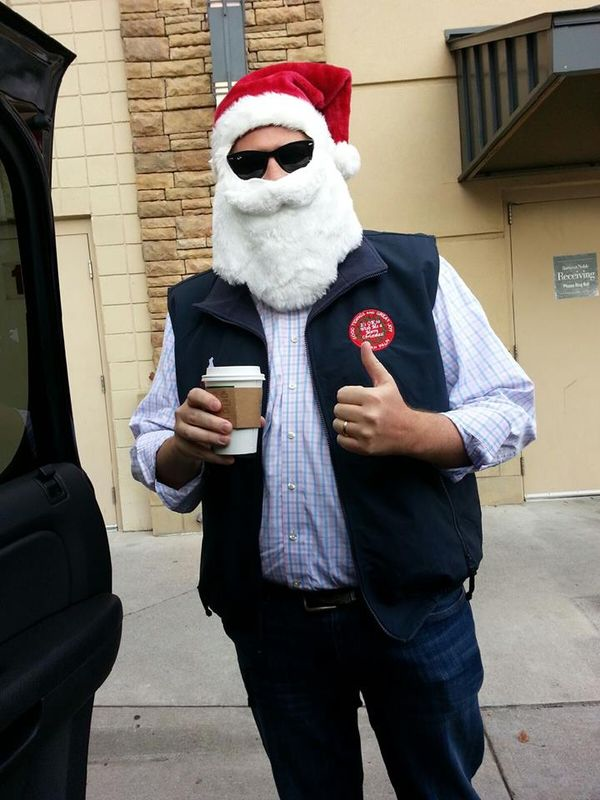 Palin was having some fun with her Facebook page today posting a photo of someone dressed up as Santa Claus, She posted additional photos of “Between events travel” and book tour photographer Shealah Craighead. Yes, Virginia! There is a Santa Claus! At least it felt that way this morning in Roanoke, Virginia! The Christmas season’s festive kindness was out in force during the “Good Tidings and Great Joy: Protecting the Heart of Christmas” book tour event! Thanks so much to everyone who joined us and to the Barnes & Noble staff! Merry Christmas to you all! P.S. 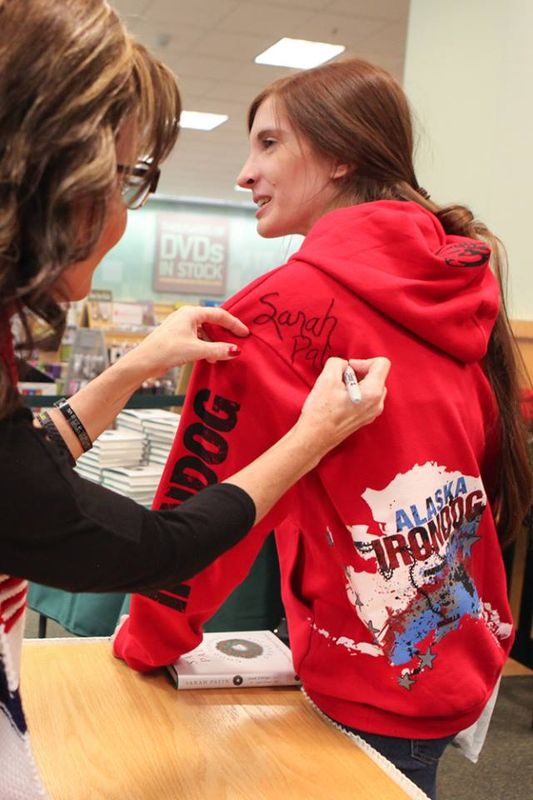 In this photo, I’m signing an Iron Dog hoodie from Alaska that a great supporter wore to the Virginia book signing. Todd’s gearing up for his 21st Iron Dog, and that’s why he’s not on this leg of tour. Gov. Palin also posted a photo gallery consisting of 13 pictures from her time in Roanoke. Looks like someone presented her with some tasty treats! Later in the day Gov. 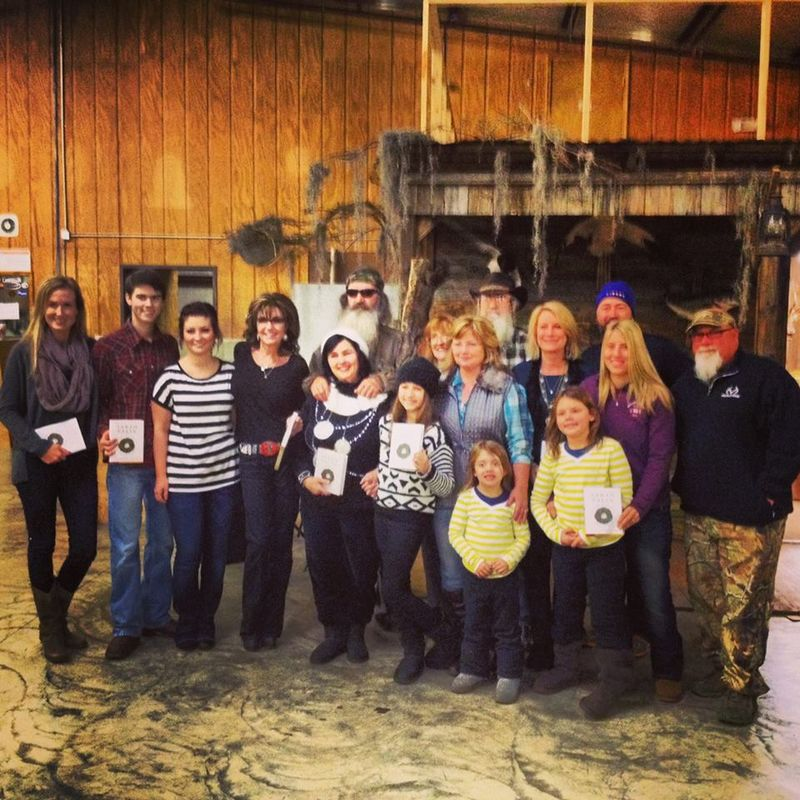 Palin was welcomed to Monroe, LA by the Robertson family of Duck Dynasty. Should any additional remarks or photos on the Monroe signing become available I’ll update this blog entry. At this point in time there are no other dates that have been announced for the “Good Tidings and Great Joy” book tour. This entry was posted on December 7, 2013 at 10:27 PM	and is filed under Uncategorized. Tagged: 2013, book tour, Christmas, Sarah Palin. You can follow any responses to this entry through the RSS 2.0 feed. You can leave a response, or trackback from your own site. what are the rest of the tour dates? will Sarah be in Southern California before her book tour ends? Thank you. No announcements yet. 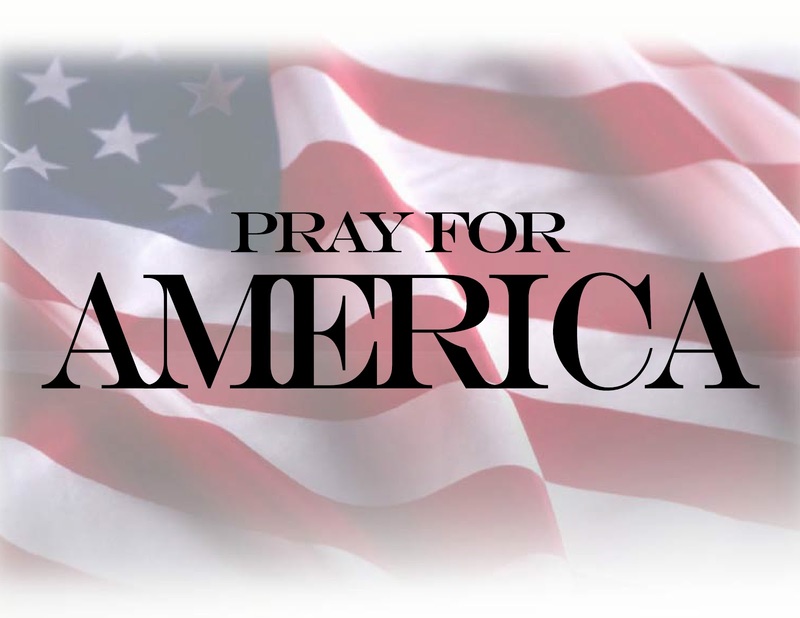 But a link to any announcement that is made will be posted here: https://sarahpalininformation.wordpress.com/sarah-palin-events/upcoming-palin-events/.